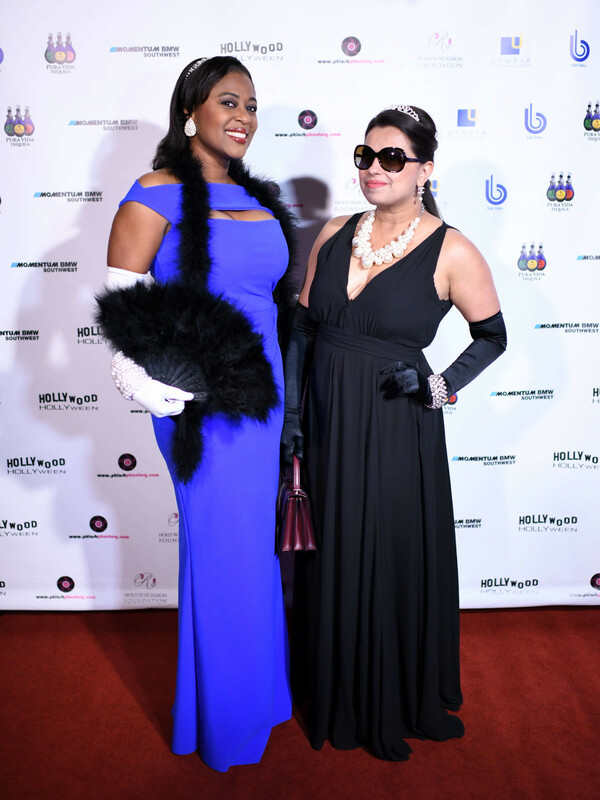 The scoop: Houstonians turned out in their best Hollywood glam costumes to benefit the Holly Rose Ribbon Foundation, which provides free reconstructive surgery to post-cancer patients who are not able to afford health insurance. 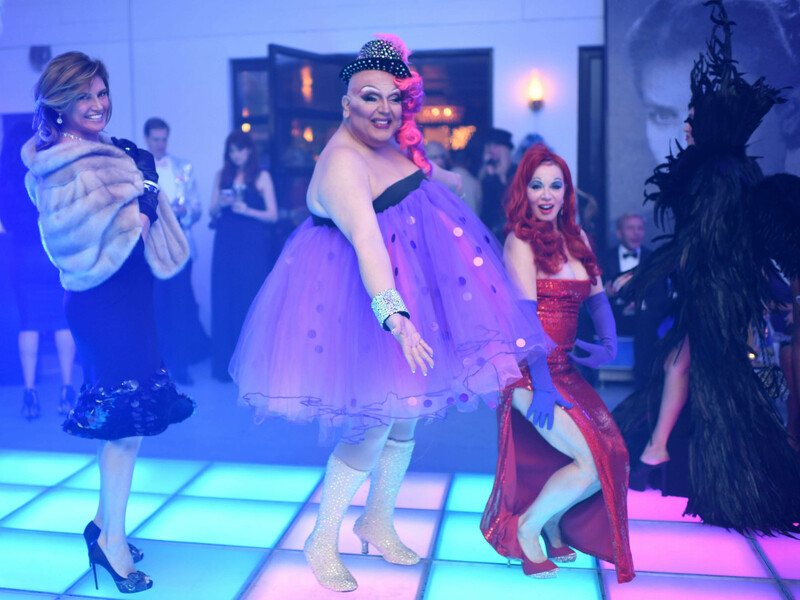 Event planners Lily Paxson and Nancy Marcus Golden transformed West University’s Bar Bleu into a Oscar-worthy party space, complete with an Andy Warhol impersonator, neon lights and red carpet entrance. Emcee Neal Hamil noted the abundance of celebrities in the crowd of 220, including eight Marilyn Monroes (Golden included), 12 Audrey Hepburns (including Jennifer Roosth and Ruchi Mukerjee), three Grace Kellys, one Donald Trump, a Cher, two Karl Lagerfelds (JMichael Soliz and Enrique Salinas), one Jennifer Lopez (Claudia Sierra), a Dorothy (Beth Meuke), a Yul Brenner (Dr. Franklin Rose) and numerous rock stars. 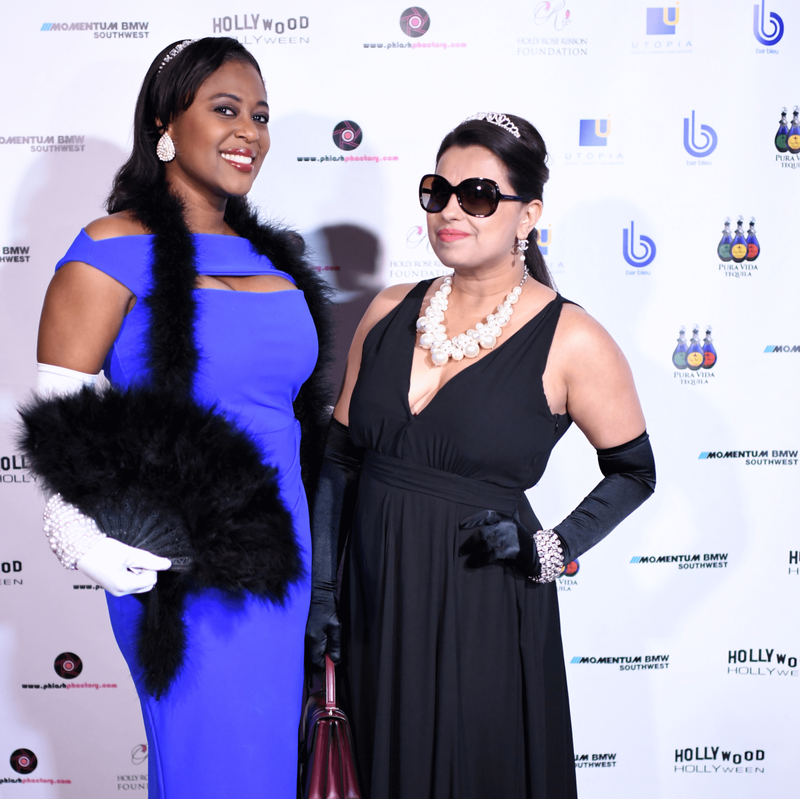 Tracy Faulkner chaired the evening, which honored Rosemarie Johnson for her support of the foundation. Johnson paid tribute to her late mother who passed of cancer at age 67. 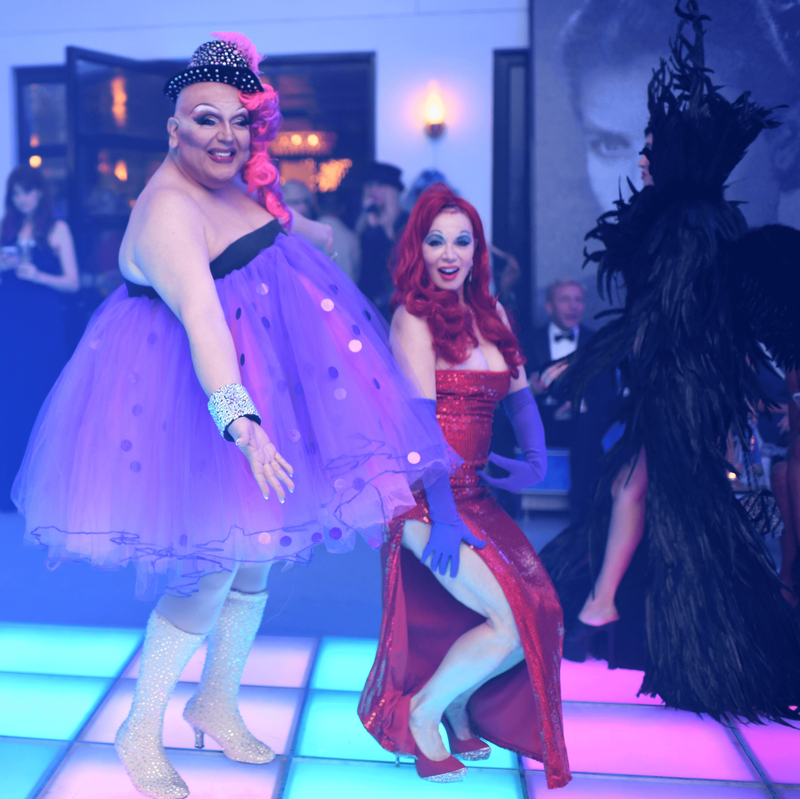 DJ Senega spun tunes as partygoers, including several well-known drag queens, hit the dance floor until late in the evening. Who: Married to Medicine Houston cast member Monica Patel, Erika Bagwell, Angelica Ximenez Chapman, Holly Rose Ribbon Foundation co-founder Cindi Harwood Rose, who also appears on this season's Married to Medicine Houston, Nicole Fertitta, John Styles Jr., Azar, Dr. Ahmad Taleghany, and Edward Sanchez, who served as the evening's co-auctioneer. Also celebrating were Ella Markovsky, who was a co-winner in the costume contest for her elaborated feathered ensemble, Jennifer Garret, Miya Shay, Corbett Parker, Gregg Harrison, Michael DeMarse, David A. Cagney, Alan Pike, Tammie Anne Johnson, Anne Marie Vancas, Casey Jordan, and Jurate Kopecky.